With the Tiny Spectrum Analyser we have a detailed view on incoming signals. On the screen print above we observe WiFi interference. 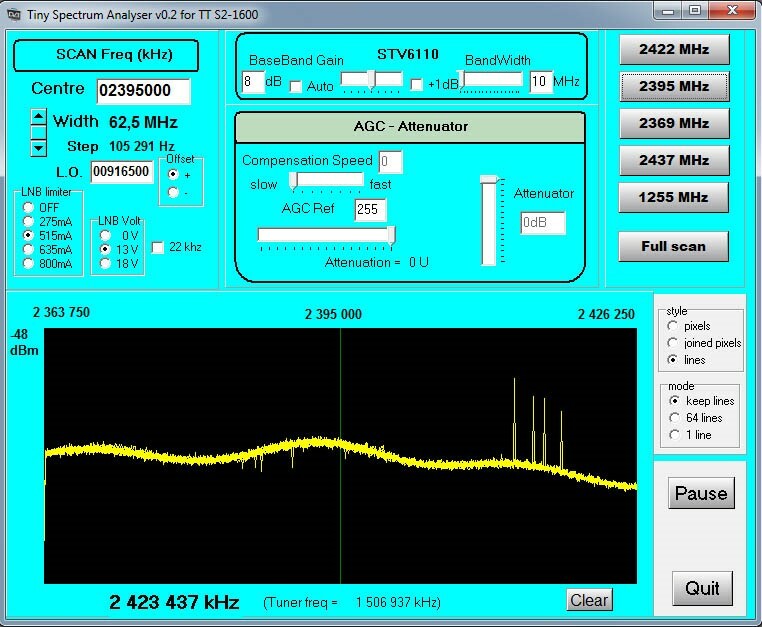 The Tiny Spectrum Analyser is also useful for testing filters such as those built by Kerry Banke N6IZW for the Europeanchain of HamTV ground stations.